A fan of Russian literature and the classic film Dr. Zhivago, Russia is a destination I long dreamed of visiting. That dream came to fruition when I was living in Europe. 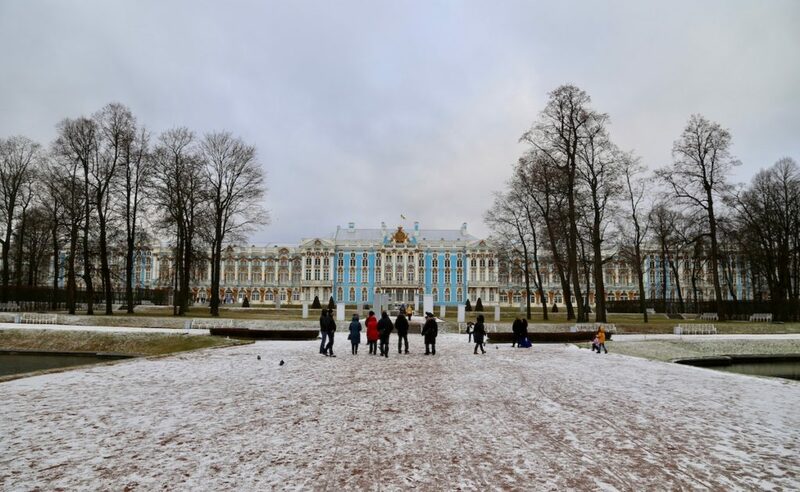 My mom and I ventured to the country’s second city, Saint Petersburg, one snowy November and the former imperial capital’s grand architecture and treasure-trove museums captivated us. The Church of the Savior on Spilled Blood is one of Saint Petersburg’s main attractions. Dotted with 18th-century palaces and gilded cathedrals, a visit to Saint Petersburg gives you a sense of what Russia was like before the rise of communism when the country was still friendly to artists and aristocrats. It has some similarities to other great European cities. Like Venice, It is built on a series of rivers and canals. Ornate bridges crisscross the waterways. Like Paris, the city center is fairly compact meaning you can walk to most of the city’s major cultural sights. At the same time, Saint Petersburg feels very different because of the language and culture which can feel a bit icy. Don’t expect a particularly warm welcome from locals who aren’t in the hospitality industry. Travelproper tip: You must have a tourist visa to go to Russia. The Russian consulate only accepts applications 180 days or less prior to the date of entry to Russia. You can begin the process by going here. Your accommodations will need to be booked before you can secure your visa. It’s a good idea to book with a reputable hotel. Concierges can be very helpful with the visa application process. The must-visit Catherine Palace is located about 20 miles from Saint Petersburg. Second only to the Louvre in size, Saint Petersburg’s State Hermitage Museum is one of the world’s most impressive centers for arts and culture. Empress Catherine the Great founded it in 1764. Located in the sprawling Winter Palace, home of Russian emperors for more than two centuries, the museum has preserved much of the structure as a palace including the Large Throne Room with Corinthian columns and gilded chandeliers and the crimson-colored boudoir decorated with elaborate brocatelle. These rooms alone are worth visiting. 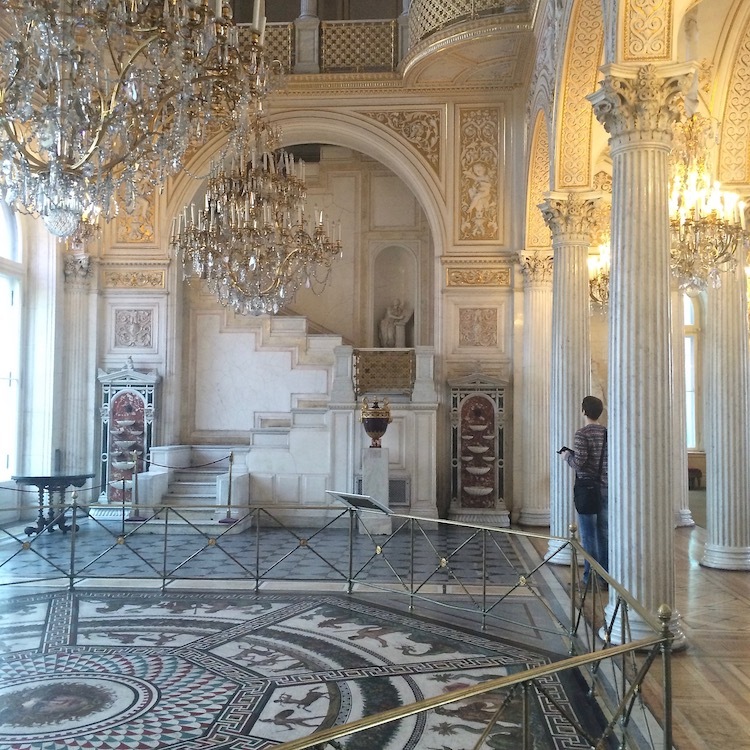 A preserved palace room in the State Hermitage Museum. The museum also offers room and room devoted to the work of the world’s finest artists including vast collections of paintings by Rembrandt, Veronese, Picasso and da Vinci. Try to arrange a tour of the Treasure Gallery which includes rooms devoted to objects made of gold and another to diamonds. The museum only releases a certain number of tickets for each room per day. 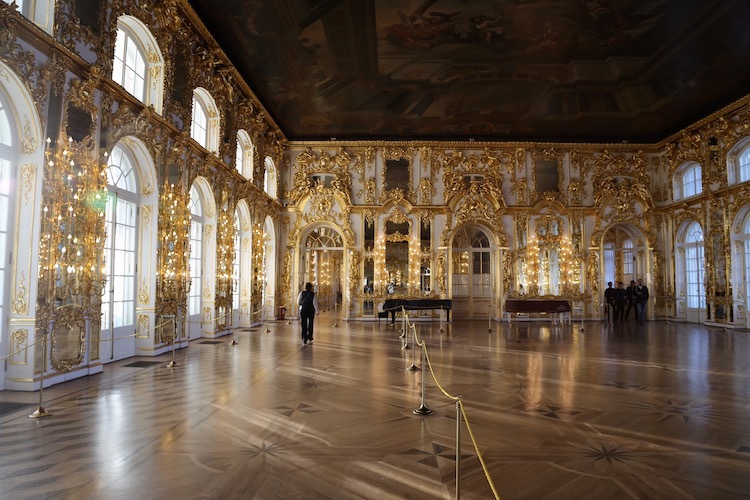 Catherine Palace’s Great Hall rivals the opulence of the Hall of Mirrors at Versailles. Catherine Palace, located about 20 miles south of Saint Petersburg is another must visit. 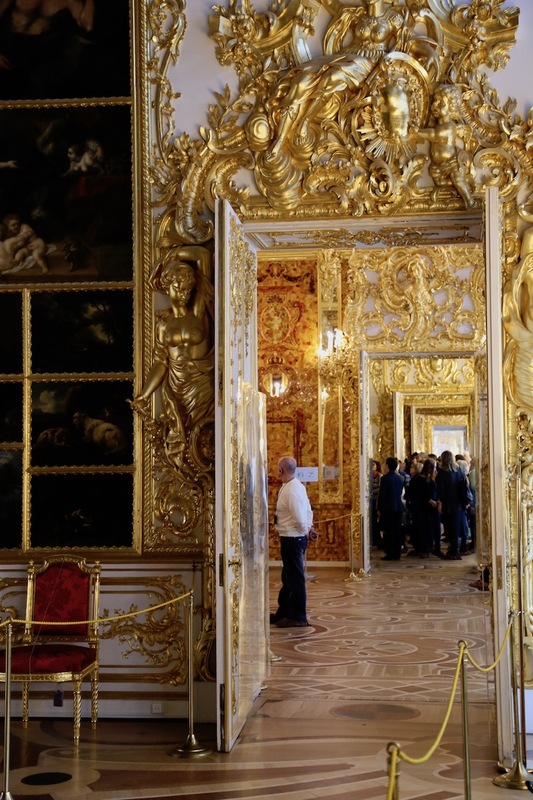 The summer palace of the tsars is the home of the legendary Amber Room. The otherworldly chamber decorated with amber panels backed with gold leaf was considered the Eighth Wonder of the World before it disappeared following World War II. The Russian government painstakingly reconstructed it over a 25 year period. It reopened to the public in 2003. Note that photos are not allowed in the Amber Room, but the rest of the Rococo palace, which includes the glittering Great Hall decorated with ornamental carvings, are more then camera-ready. You can glimpse the world-famous Amber Room through the doorway. Photos are not allowed inside. For many years, I did not understand what all the fuss was about Fabergé Eggs. They looked too ornate to me in pictures, almost gaudy, and what was their purpose? I would rather fawn over a diamond tiara or a sapphire necklace any day. Well, that all changed when my mother and I visited the Fabergé Museum in Saint Petersburg. The museum in the Shuvalov Palace has the largest collection of works by Carl Fabergé, court jeweler to the Russian Tsars from the late 1800s until the fall of the Romanovs. Fabergé created the Imperial Easter Eggs, the pinnacle of his genius, each year as Easter gifts for either the Dowager Empress Maria Feodorovna or Empress Alexandra. Unfortunately, photos are not allowed, but I will never forget how my eyes widened when I saw the eggs in person. The colors of the enamel eggs are so vivid and the details are so precious, they draw you in. My favorite, the Lilies-of-the-Valley Easter Egg, is the most beautiful shade of pink I’ve ever seen. Another egg, the vibrant yellow Coronation Egg, depicts, in meticulous detail, the emperor’s coronation carriage. No photo does them justice. The museum showcases many other beautiful objets d’art including silver settings, porcelain vases and gold clocks. Only guided tours and timed visits are allowed. It’s a good idea to purchase your tickets ahead of time. Russia is not a place where you want to skimp on your hotel stay. Luxury hotels with concierge services can help you navigate the language barrier, help you make museum and dinner reservations and arrange transportation. There are a number of grand options in Saint Petersburg. I like the Four Seasons Hotel Lion Palace (From $280). It’s located in a 19th-century mansion and offers bright guestrooms with oversized windows as well as a number of good dining options including a tea lounge beneath a glass roof. The Fabergé Suite at the Belmond Grand Hotel Europe. My other favorite is the 140-year-old Belmond Grand Hotel Europe. The large hotel, which spans the length of a city block, has had some interesting modifications over the years. In the 90s, a renovation covered the once open courtyard. Some of the event spaces feel dated. 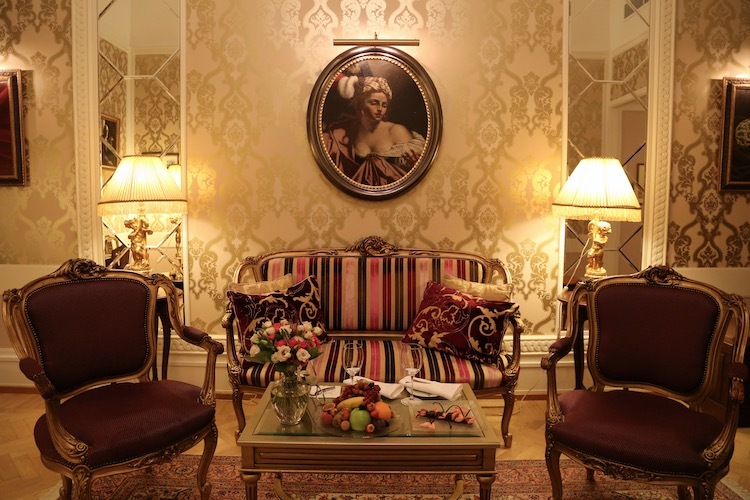 I love the rooms in the hotel that harken back to the turn of the century such as the meticulously decorated historic suites (we golden-hued Fabergé Suite) and L’Europe restaurant. Established in 1905, it’s Russia’s oldest continually serving restaurant. The art nouveau dining room looks more like a ballroom than a restaurant. Crisp white tablecloths adorn the tables where formally-dress waiters serve elegant French-influenced fare. Ballet performances on a stage beneath a stained glass mural often accompany dinner. 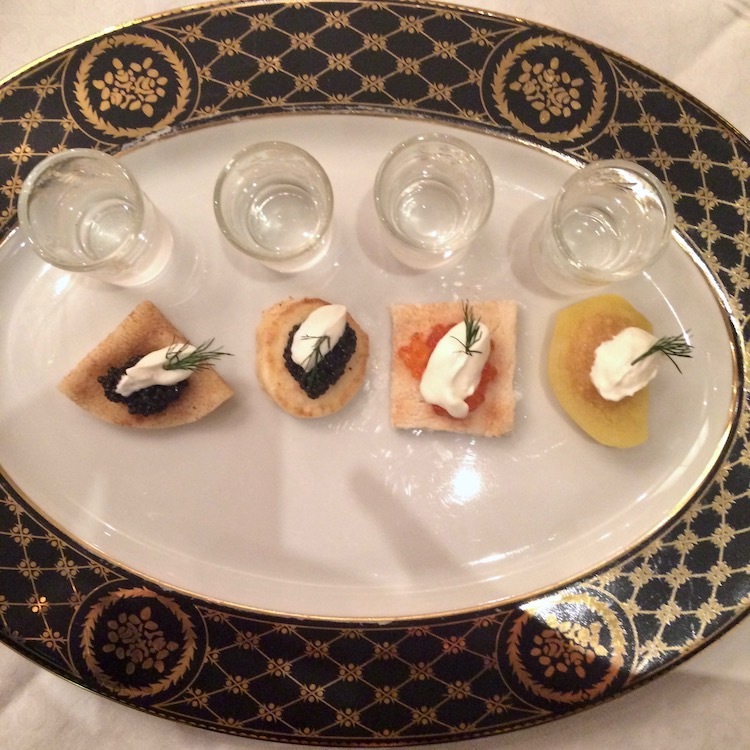 The caviar and vodka tasting at the Belmond Grand Hotel Europe. Another must-do restaurant at the Belmond Grand Hotel Europe is the Caviar Bar and Restaurant which offers 14 types of caviar, 12 champagne vintages, and 62 vodka varieties. The menu offers a variety of tastings including a caviar and vodka pairing where four locally-made vodkas are paired with oscietra Imperial, Russian Oscietra, salmon and pike caviar. It’s a pricey, but memorable indulgence. 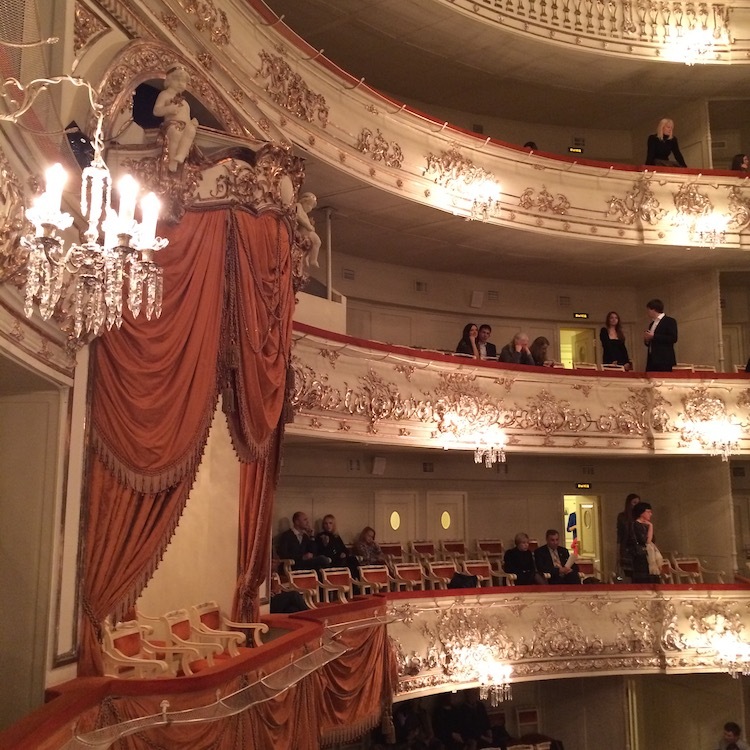 The lavish interior of the Mikhailovsky Theatre in Saint Petersburg. Ballet flourished in Russia in the 19th century. Saint Petersburg is still home to some of the world’s finest ballet companies. The Mariinsky, originally known as the Imperial Russian Ballet, is the resident classical ballet company of the Mariinsky Theatre, which debuted a new ballet and opera house in 2013. The Mariinsky Theatre is where the Nutcracker ballet set to music by Tchaikovsky was first performed in 1892. The Mikhailovsky Theatre is one of Russia’s oldest opera and ballet houses. Founded in 1833, it is still located in a historical building on Saint Petersburg’s Arts Square. The resident company here performs the Nutcracker each holiday season as well as ballets like Swan Lake and Sleeping Beauty. 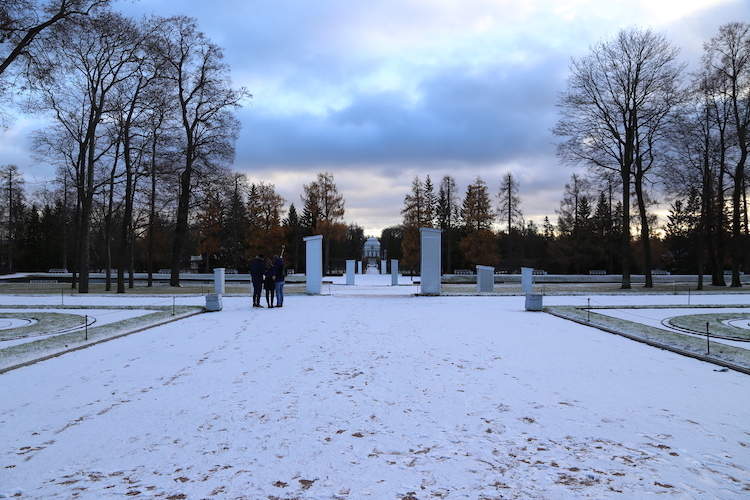 The grounds of Catherine Palace outside Saint Petersburg. 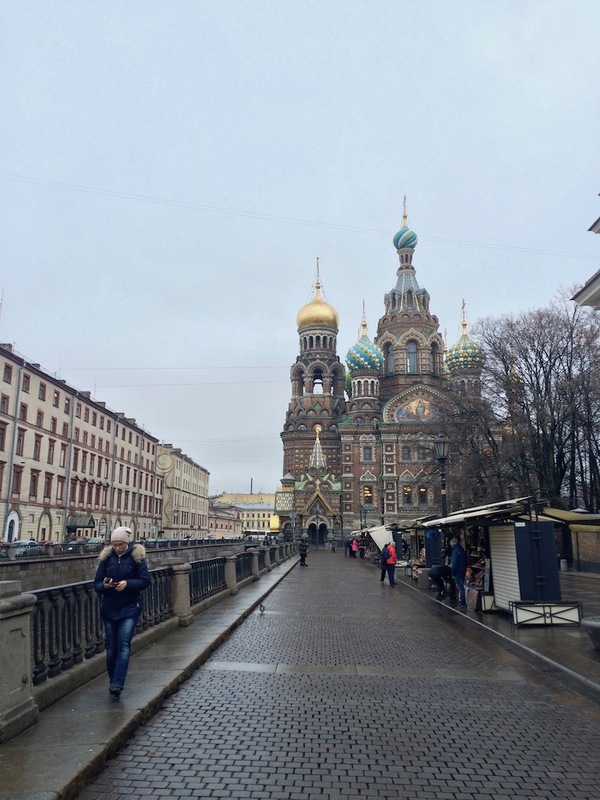 Where are your favorite spots in Saint Petersburg? Let me know in the comments below.